The market size, in terms of value, of concrete admixtures is estimated to be USD 11.68 Billion in 2015 and is projected to reach USD 18.10 Billion by 2020, at a CAGR of 9.15% between 2015 and 2020. 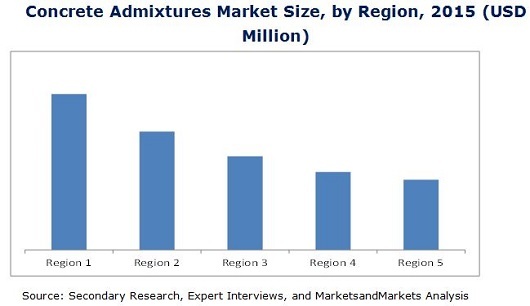 The concrete admixtures market, along with its applications, witnessed high growth in the past few years and is likely to continue so in the in the coming years. Concrete admixtures have made rapid incursions into a variety of end-use applications such as residential, non-residential, and Infrastructure. This study aims to estimate the market of concrete admixtures for 2015 and project its demand by 2020. It also provides a detailed qualitative and quantitative analysis of the concrete admixtures market. Various secondary sources such as directories, industry journals, and databases have been used to identify and collect information useful for this extensive commercial study of the concrete admixtures market. 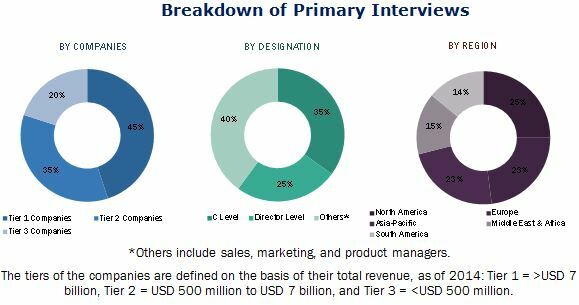 Primary sources such as experts from related industries and suppliers have been interviewed to obtain and verify critical information as well as to assess prospects of the concrete admixtures market. To know about assumptions, download pdf brochure. The study answers several questions for the stakeholders, primarily which market segments to focus in next two to five years for prioritizing efforts and investments and competitive landscape of the market. The concrete admixtures market size, in terms of value, is estimated to reach USD 18.10 Billion by 2020, signifying a firm CAGR of over 9.15% between 2015 and 2020. The drivers identified for the concrete admixtures market are growing infrastructure requirements in developing economies, improving economics of construction, and shifting preferences of population towards urbanization. Concrete admixtures found their application in residential, non-residential, and infrastructure made by the contribution of state and federal government. Infrastructure application is the largest segment both in terms of volume which contributes around 36% of total concrete admixtures demand followed by residential application around 34% and non-residential 30% in 2014. Globally concrete admixtures are used in many areas of construction such as building & constructions, bridges, road, water reservoirs, sewage and water treatment plants, secondary containment structures, tunnels and subway systems, underground vaults, foundations parking structures, swimming pools, pre-cast, cast-in-place and shotcrete applications. Asia-Pacific is driving the growth of the concrete admixtures market in residential application which is already witnessing a high growth, due to increasing urbanization and migration toward cities for employment, which results in development of the housing sector in the urban areas. Eleven of the world’s mega cities having population of more than ten million are located in the Asia-Pacific region. This population is expected to reach 1.4 Billion by 2020, thus creating the need of housing infrastructure which directly increases the demand for concrete admixture in residential sector applications. The growing urban population in most of the developing regions is driving the growth in the construction industry. Most of the developing and highly populated countries in the world, such as India and China, have less than 30% of their population living in urban areas. The restraints identified in the market are established infrastructure in developed countries and fluctuations in the global economic cycles. The impact of established infrastructure in developed countries is expected to decline from medium to low due to requirements of maintenance and repair activities. The impact of unstable economic cycle is expected to be moderate due to unforeseen fluctuations in macroeconomic indicators, which affect the output of construction industry and investments in real estate sectors.